It probably wouldn't surprise you to learn that kilts hold a fascination for me. They just go with the whole tartan vibe. I wouldn't wear one, but I love to see others wear them. 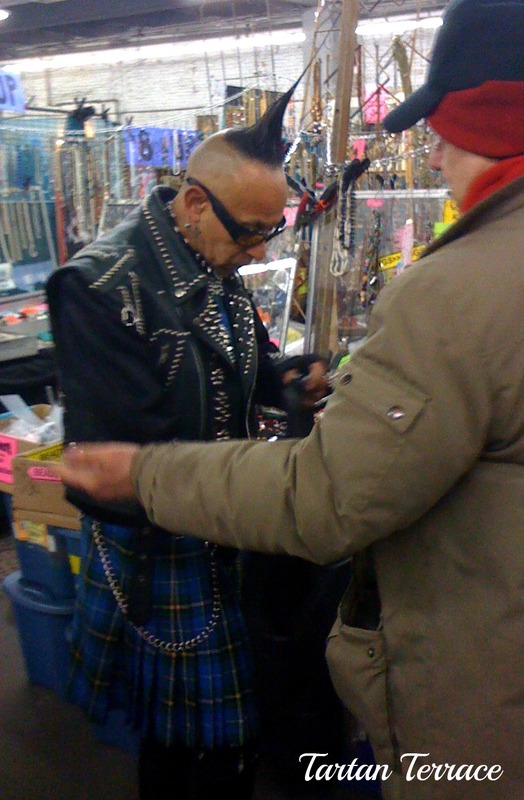 I was shopping in New York City a while back when I ran across this interesting fellow. After I recovered from the shock, I whipped out my iPhone and surreptitiously snapped a few pics. But I decided that this would be an appropriate time for this post since the Brits are celebrating the Diamond Jubilee of Queen Elizabeth II. 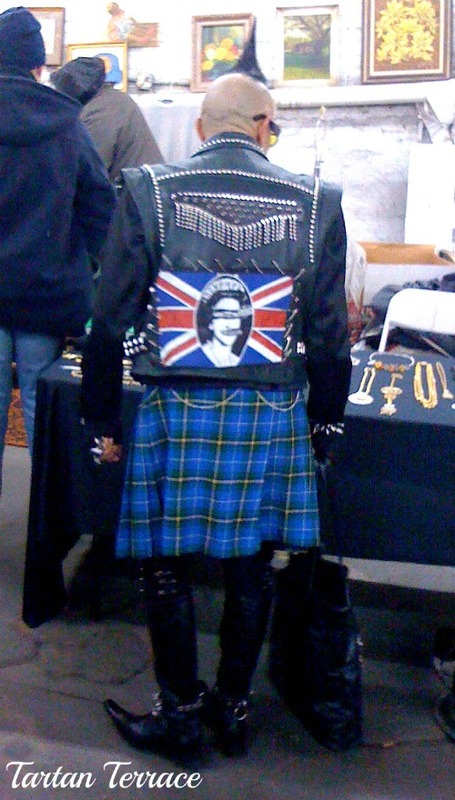 Our biker dude is obviously very patriotic, as illustrated by the picture of Her Majesty on the back of his leather vest. It looks like her image has been altered a bit, but we won't go into that. The point is that honoring the queen can come in all different shapes and forms. I think that Queen Elizabeth II would graciously shake his hand if introduced and tell him to have a lovely day. She is the queen, after all. My son wears a kilt all the time. He lives near Atlanta. If he has on trousers, he looks funny to us. I love to see a man in a kilt...well, maybe not the biker dude. Our son and his two boys wear their MacGregor kilts at Christmas. Can't get my husband to wear one though. Nice post about Queen Elizabeth. Are you going to find a kilt for Bitsy? Ha! She might be too embarrassed, and I would never do that to her! I would totally wear a kilt with leggings! I am now officially obsessed with that Yorkie in a kilt! That outfit is adorable! Also I have to get you a picture of my horse in her Tartan summer blanket! You will die! I'd love to see it. You should also send it to Alison at thepolohouse.blogspot.com. She loves all things tartan along with all things equestrian. BTW, I love following your blog. Your little children are so adorable! He is one interesting looking chap! such a large part of his attire! 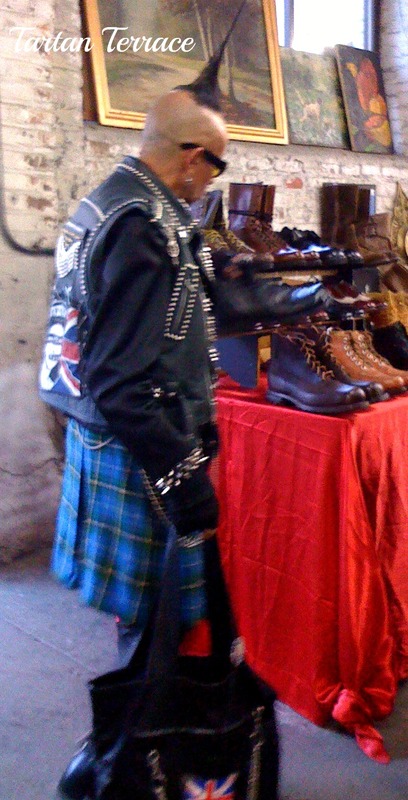 It seems that guy really enjoy his appearance wearing those kilts and nice boots. 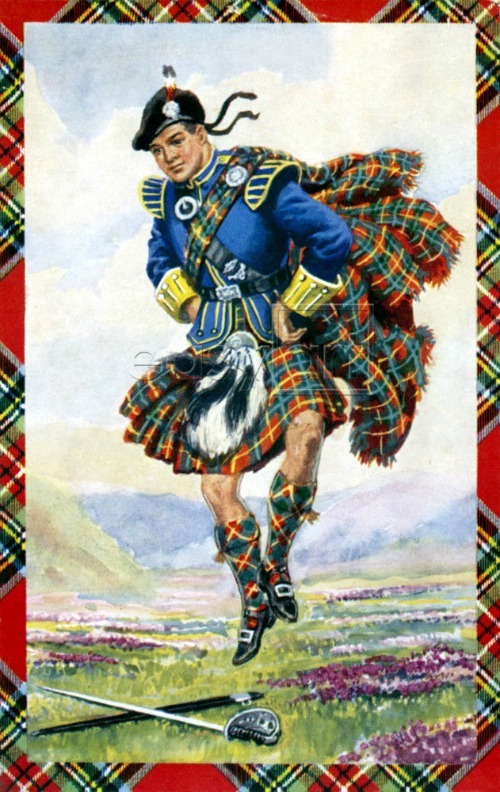 I think that kilts really do have a great impact to history. I also like watching people wearing kilts on them.